En este restaurante tienen cocina española. Muchos críticos han notado que aquí puedes probar con confianza un famoso salmón frito, unos sorprendentes rollitos picantes y unos extraordinarios cangrejos. 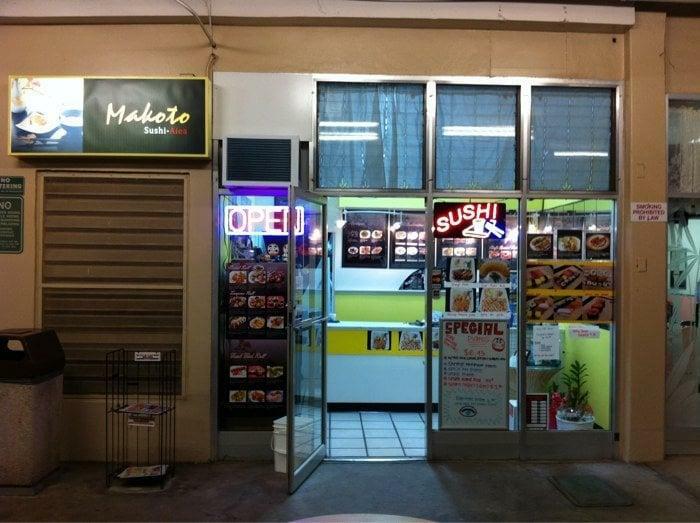 Vas a llevarte un buen recuerdo de Makoto Sushi, puesto que es bien conocido por su gran servicio y su amable personal, siempre dispuesto a ayudar. La mayoría de los platos de la carta tienen unos precios adecuados. Cuando entres en este establecimiento, presta atención a su delicada atmósfera. Yelp le da a este lugar una nota de 4,5. Simply perfect, tasty, huge portions. I can eat a lot, but one plate here is to much for me. Must make it a priority to find this hidden gem!! Been wanting to come here for the longest time, and I'm glad I did! The rolls come in biiiiig portions and they're very generous with the fish. 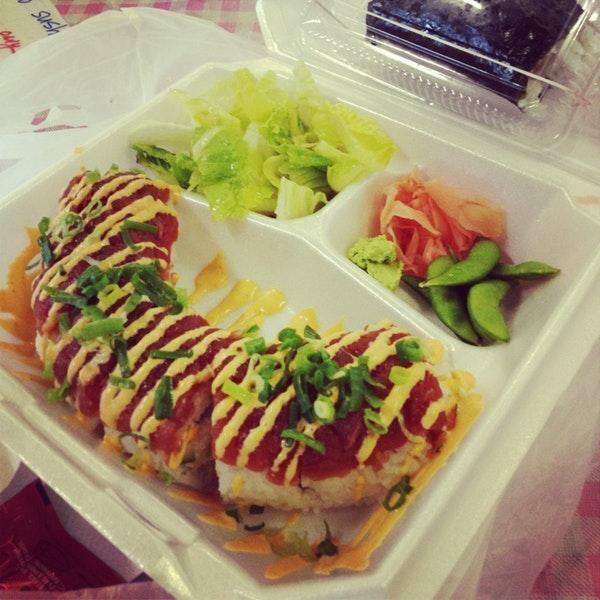 A friend and I wanted to have something spicy but with salmon in it, but we settled with the Royal Jin's roll. But since we wanted something spicy, we figured to ask if we could somehow make it spicy. The man at the register said that they could add spicy sauce on it, free of charge! So nice ~ It was delicious and I liked that they gave a small salad on the side. The salmon nigiri was yummy as well, and had thick slices! Their rolls are definitely their strong point though and I'd love to come back to try their other ones. LOVE this place! 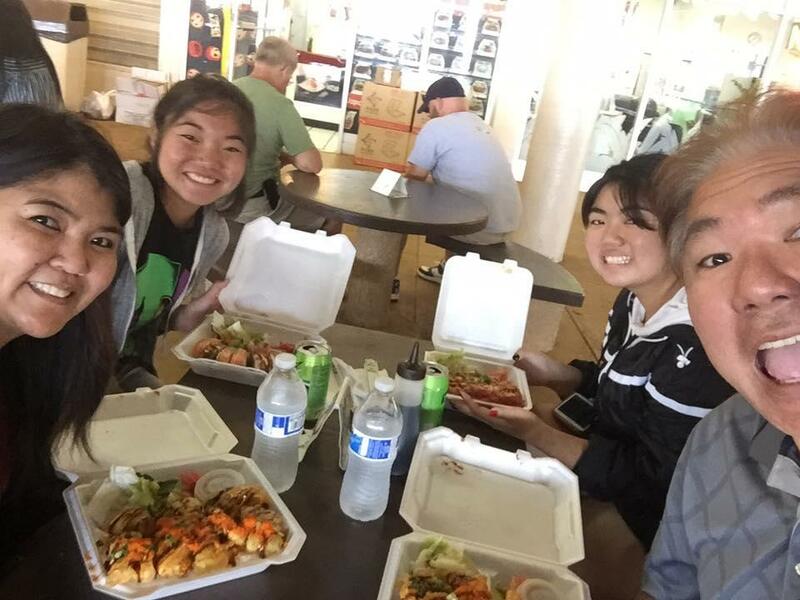 Sushi rolls and plates are huge and worth every dollar. I normally have to order 2 rolls in order to be full, which I did even after being warned from the owner. 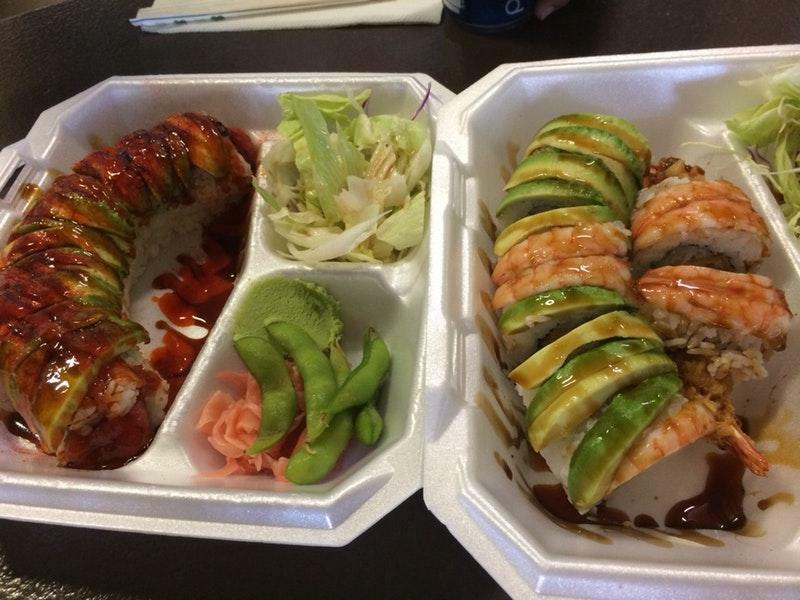 I was so glad that I ordered 2 rolls, one for lunch and the other for dinner!